for both men's and women's teams. The two teams of 11 players were selected by fans as part of the Canadian Soccer Association's centennial celebrations. The All-Time Canada XI men's team The Canadian XI features goalkeeper Craig Forrest, defenders Robert Iarusci, Randy Samuel, Jason de Vos and Bruce Wilson, midfielders and forwards Mike Sweeney, Atiba Hutchinson, Dale Mitchell, Dwayne De Rosario, John Catliff and Alex Bunbury. The Canadian Soccer Association celebrates its 100th anniversary throughout the 2012 calendar year. While soccer (football) has been played in Canada since 1876, the Canadian Soccer Association (or the Dominion of Canada Football Association as it was known in the day) was inaugurated on 24 May 1912. As part of the centennial celebrations, the Canadian Soccer Association will unveil the "Top-10 Moments" in Canadian soccer history as well as engage soccer fans to select the "All-Time Canada XI" teams for men's and women's football. The celebrations will culminate with Canada's two Centennial Matches - a Women's International Friendly on 30 May in Moncton and a Men's International Friendly match on 3 June in Toronto. Tickets to Canada's 3 June Centennial home match - as well three FIFA World Cup Qualifiers in June, September and October - are available via Ticketmaster (ticketmaster.ca / 1.855.570.7500) with full details at CanadaSoccer.com/seetheerise. Also to celebrate Canada's 100th anniversary, Canada's men's and women's national teams will wear a special blue Centennial Kit tailored by Umbro. The kit will be worn exclusively by the men on 3 June and by the women for a second Centennial match on 30 June at Rio Tinto Stadium in Sandy, UT, USA. Limited quantities of Canada's Centennial clothing line - including jersey, anthem jacket and cap - are available exclusively at CanadaSoccer.com. 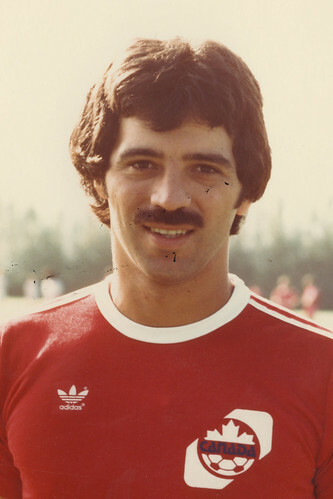 A four-time Soccer Bowl champion in the old North American Soccer League, Robert Iarusci set a national record by making 20 consecutive appearances for Canada from 1977 to 1983 (a record since surpassed). In FIFA World Cup Qualifiers, he pushed Canada to within a goal of qualification for Spain 1982. He was an inaugural member of The Soccer Hall of Fame in 2000. 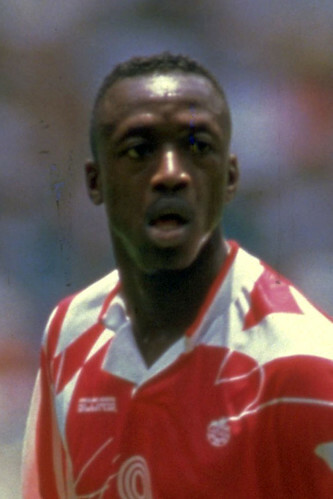 CONCACAF champion Randy Samuel remains Canada’s all-time leader in appearances in FIFA World Cup Qualifiers (36), including those made in 1985 when Canada qualified for the 1986 FIFA World Cup in Mexico. He later helped Canada win both the 1988 Sir Stanley Matthews Cup and 1990 Three Nations Cup. He became an honoured member of The Soccer Hall of Fame in 2006. 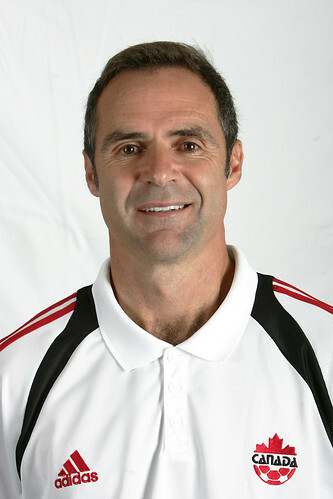 CONCACAF champion Bruce Wilson was Canada’s captain at the 1986 FIFA World Cup in Mexico. He not only set a national record by making 57 “A” appearances, but he also played in the 1984 Olympics. A Soccer Bowl champion in the NASL, he was a First or Second Team All-Star five times. In 2000, he was part of the inaugural class honoured by The Soccer Hall of Fame. 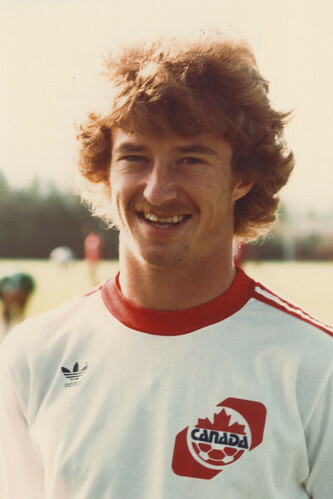 CONCACAF champion Mike Sweeney was one of four players that helped Canada qualify for its first FIFA youth tournament in 1979 and then its first FIFA World Cup in 1986. 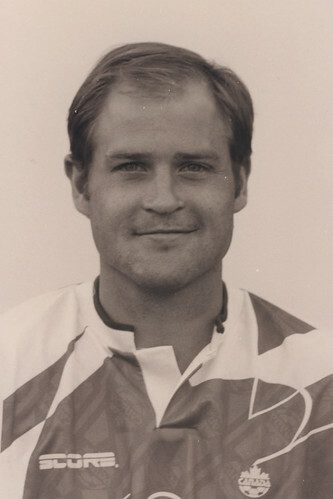 An Olympian in 1984, he retired in 1993 as Canada’s all-time leader with 61 international “A” appearances. 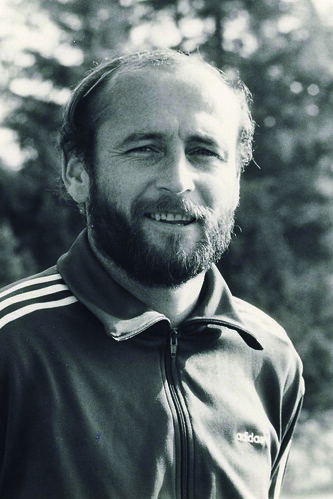 He became an honoured member of The Soccer Hall of Fame in 2002. 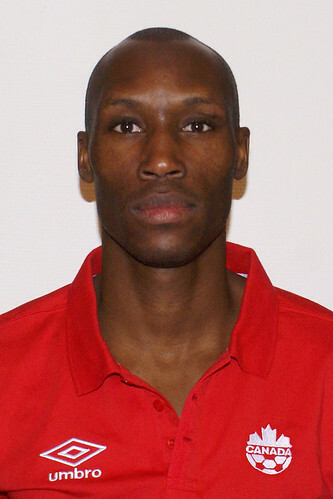 CONCACAF champion Dale Mitchell retired as Canada’s all-time goals leader, a record that stood 19 years before it was tied in 2011. Of his 19 “A” goals, nine of them were scored in FIFA World Cup Qualifiers. He also scored goals in other competitions, including three at the 1984 Olympic Tournament. In 2002, he became an honoured member of The Soccer Hall of Fame. CONCACAF champion John Catliff took part in three cycles of FIFA World Cup Qualifiers. He scored four times in six matches in 1993. He also participated in the 1984 Olympic Tournament and was the hero of the 1990 Corona Three Nations Cup. 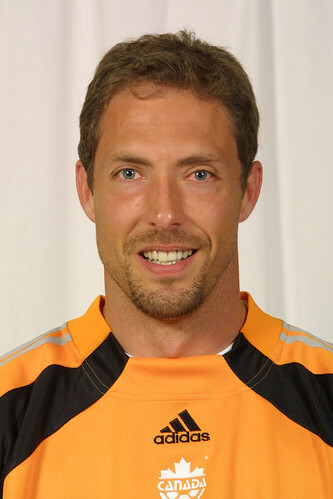 He was a five-time champion in the Canadian Soccer League. In 2004, he became an honoured member of The Soccer Hall of Fame. 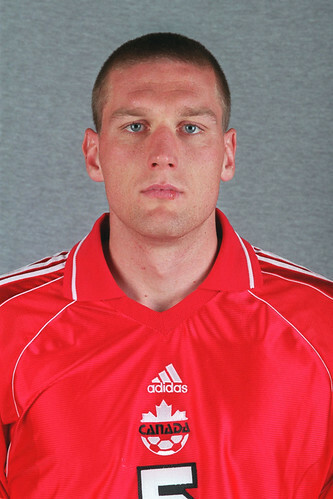 Alex Bunbury is Canada’s all-time goal-scoring leader in FIFA World Cup Qualifiers, having scored 11 times in 31 appearances over three cycles. 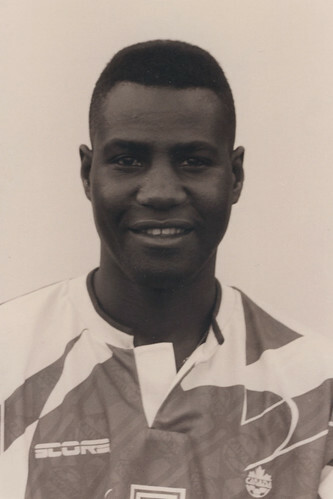 A two-time Canadian Player of the Year (1993 and 1995), he played his professional soccer in Canada, England, Portugal and USA. He became an honoured member of The Soccer Hall of Fame in 2005.